This paper addresses agreed fundamentals between fundamentalists, relating to sharia ruling with an explanation of each vocabulary base, and the statement of the overall meaning, and one jurisprudence application to each rule. This paper stated six rules. 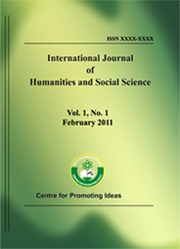 This paper has shown that there were agreed fundamentals between fundamentalists, and this is an alert for students of Shari school to be aware of when they are reading fundamentalist rules, to distinguish between what was agreed, and what was disagreed, as well as this paper contributes to the development of jurisprudential talent of students of Islamic Sharia, through explaining the vocabularies of the rules, the statement of their meaning, and the jurisprudential applications on the fundamentalism rules.